The girlfriend of Bristol, Connecticut native Aaron Hernandez is due back in court in January to face a perjury charged connected to the murder case against the former New England Patriot. 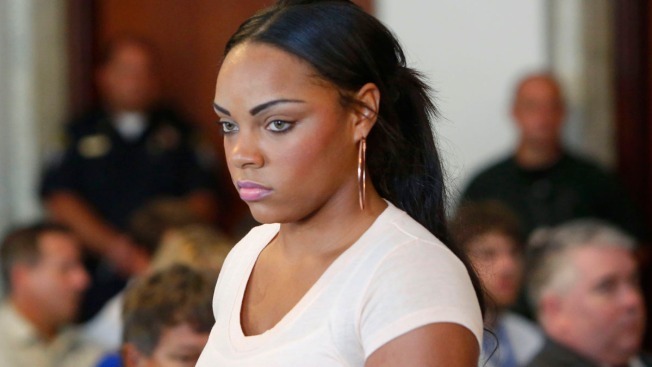 Shayanna Jenkins pleaded not guilty last month, was released on personal recognizance and appeared on Wednesday afternoon in Fall River Superior Court. Prosecutors allege that Jenkins lied to the grand jury that indicted Hernandez, including about disposing of evidence at his request. They said she told grand jurors she couldn't remember where she threw out a box she placed in a trash bag along with baby clothes. Jenkins' attorney, Janice Bassil, said "not recalling" something when there is no evidence otherwise does not count as perjury. She previously said prosecutors are being heavy-handed and have no evidence her client lied. The judge said the state must further detail perjury accusations against Jenkins and set another court date of Dec. 2 for the matter. Jenkins is next due in court on Jan. 6 at 2:30 pm. for another pre-trial conference. Hernandez has pleaded not guilty in the killing of Odin Lloyd, a 27-year-old semi-pro football player who was dating the sister of his girlfriend.